At the UC San Diego School of Global Policy and Strategy (GPS), students are trained to be the next generation of global leaders, as well as foster the curiosity to dig deeper into international relations. 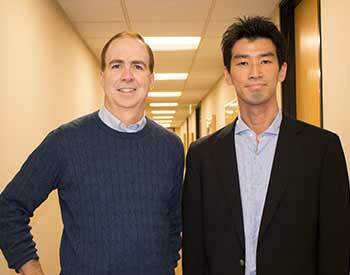 This is the case for Takahito Osako, 2018 Masters of Advanced Studies in International Affairs (MAS-IA) candidate and the first student funded by Boston Consulting Group (BCG), with a second student arriving in fall 2018. In addition to his teaching duties, David Michael is also helping to build awareness of GPS in Asia through his role as an International Advisor Board member to the school. He continues to serves as senior advisor to BCG and felt the MAS-IA degree was the perfect fit for colleagues at the firm, which every year sponsors a few employees to study in the U.S. Perfect for the working professional, the one-year program allows the flexibility of both full- and part-time enrollment, allowing students the option of maintaining employment while pursuing their degree. 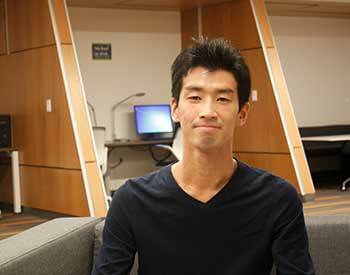 In Osako’s current job, he was seeking opportunities to broaden his horizons through international experience. BCG approached him on the opportunity, given his past performance and future commitment to the firm. Michael, who teaches on China’s dynamic industries and Asia’s business environment is an expert investor and advisor with nearly 30 years of international business experience. With a rich background in the Pacific, he cites GPS as a vital institution. “For students who are pursuing a business career, GPS offers a unique opportunity to study what I would call the policy environment of business – that’s a very relevant area to understand. It really differentiates GPS from a typical business school,” said Michael. In Michael’s class, Inside China's Dynamic Industries, viewpoints are applied to real business situations – from learning how to read data to how to criticize optimistic viewpoints. When looking at China’s relevance in multinational companies, including Japanese global companies, Osako credits Michael’s class as the most beneficial. “Professor Michael was great at introducing the key hot topics in Chinese businesses, while providing frameworks to think critically in business environments,” said Osako. At GPS, Osako has also enjoyed classes on statistics and corporate finance, learning about frameworks and case studies for international businesses. Not limited to just business management, he highlights the interdisciplinary nature of the MAS-IA degree. Back home, Osako plans to take back the quantitative analysis skills learned at GPS, which are immediately relevant to his current position. Grateful for his experience studying and working in an international environment, he hopes his degree will help him broaden his choice of projects in BCG. With aspirations to make Japanese companies more globally-minded in the financial and technology sectors, Osako is grateful for his time here and would definitely recommend the program to his Japanese colleagues. “GPS has helped me to pursue this goal, not only by providing knowledge through many interesting international related classes, but also by connecting me to the strong worldwide GPS community,” said Osako.